Handling fluids is an integral part of day-to-day mining life. 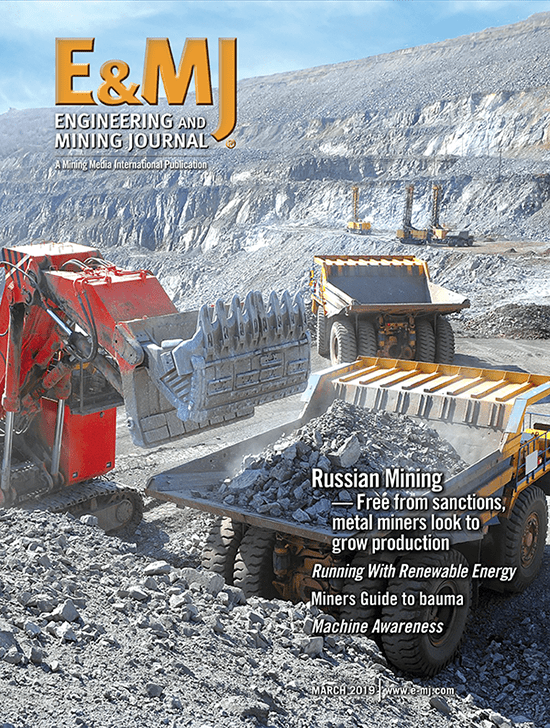 E&MJ looks at some of the pumping and pipeline solutions available for use in mine and mill. With remarkably few exceptions, every mine relies on pumps and pipes to handle a whole range of fluids. 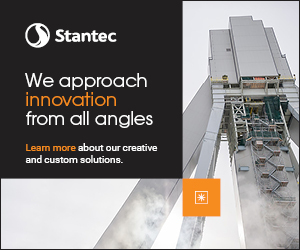 Dewatering, grouting, backfill handling, diesel, mill slurry, reagents, concentrates, cooling water, tailings—the list goes on and on. And there is no respite; pumps have to operate round the clock, delivering the correct volumes, while the pipework infrastructure has to be sufficiently robust to transfer these volumes from source to supply without risk of leakage or other failure. In both cases, materials selection can be critical, especially where there is the potential for abrasion or corrosion, or where fluids are being handled under pressure. One of the SH series pumps that ABEL recently supplied for backfill paste pumping in Peru. The German specialist pump manufacturer ABEL told E&MJ that it has recently increased its business in South America with the delivery of four of its pumps to customers in Peru and Chile. At the end of last year, the company shipped two SH series cone-valve solids-handling pumps to a gold and silver mine in Peru. The pumps are now being used to handle tailings paste for backfilling, each pump handling up to 95 m2 per hour (m2/h). ABEL has also shipped two large HMQ series membrane pumps to a gold and silver mine in Chile, where they are being used for dewatering. A Goulds VIT vertical turbine pump is now providing long-distance water transfer at Nickel Rim South. Xylem reported it recently helped solve a problem for Glencore Xstrata at the company’s Nickel Rim South mine in Ontario. The requirement was for a pump that could shift reclaimed water from a pond at the mine to the smelter, 13.7 km away. The existing units suffered from excessive vibration, with poor availability and high maintenance costs. According to Xylem, the challenge involved not only developing a solution capable of pumping water over this distance, but also overcoming more than 40 psi of static head. In addition, the solution had to be robust enough to stand up to round-the-clock operation. After a thorough examination of what was causing the vibration problems and maintenance issues, Xylem installed a four-stage Goulds Water Technology VIT vertical turbine pump, driven by a 100-hp premium efficiency motor. Xylem reported that the pump ran constantly during a two-month trial period, with the mine later adding another two pumps to provide additional flow and backup. A Flowrox LPP peristaltic hose pump installed under- neath a thickener to handle high-solids slurry. The mining industry is often challenged by water usage, and regardless of whether water is easily accessible, there is a cost to conditioning new water and processing water that has already been used. Reclaiming water often involves large thickeners, below which a variety of pumping technologies can be used—one of them being a peristaltic hose pump. Flowrox offers these pumps for transferring, dosing and metering. The company explained that peristaltic pumps may help to cut process water usage since they can pump 60%–80% solids in slurries. By comparison, a typical centrifugal pump for the same application can pump slurry with around 30% solids. Another big advantage of a peristaltic pump is that only a single hose is in contact with both corrosive and highly abrasive slurries. 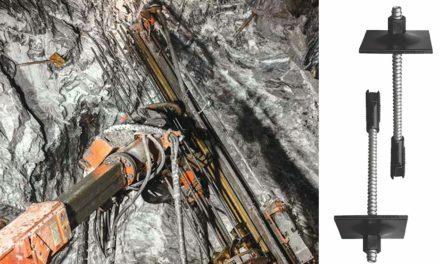 At a recent installation in a Swedish iron-ore mine, a 100-mm peristaltic pump now handles waste sand slurry from a thickener underflow at 60% solids, compared to the 35% or less solids content material moved by the centrifugal pump it replaced. In a second example, three 65-mm Flowrox peristaltic pumps were chosen for underflow pumping for a rakeless paste thickener at a new mill in Mexico, and with the pump hose being the only repair item required, they now move paste at a consistent 75% solids content. As reported in E&MJ last year (October 2014, pp. 94–96), polypropylene-random pipe supplied by the German company, Aquatherm, was used successfully in the construction of aeration grids in a water-treatment plant at the Stillwater platinum-group metals mine in Montana. According to Aquatherm’s international product consultant, Volker Köhler, the company is actively marketing its piping systems to mining operations in North America and elsewhere. For process water, chilled water pipes, compressed air, chemical transport and so on, the company recommends the use of its blue pipe, with the option of using its green pipe instead where potable water is needed. Major advantages claimed for Aquatherm piping include the ease of forming joints, which are simply heat-welded together. Once fused, the pipes and fittings have the same physical properties, eliminating systematic weaknesses. In addition, the pipes exhibit very low thermal linear expansion, even up to operating temperatures of more than 90ºC, while the system is completely recyclable. The fusion joint welding process also does away with the need for glues, resins and open flames during assembly, making installation safer, the company stated. 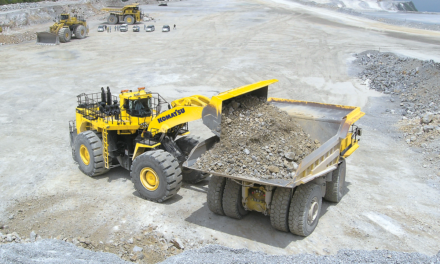 Last year, Germany’s KSB consolidated its minerals-industry business into GIW Minerals. The company now offers a full range of pumps for mining and mineral processing, with applications including mine dewatering, reagent handling, slurry transport, tailings disposal and much more. For example, its MDX centrifugal slurry pumps are designed for operation in the most aggressive slurry applications, so are suitable for grinding circuits, SAG and ball mill discharge, and cyclone feed. As reported elsewhere in this issue (See p. 38), GIW Minerals has won a contract to supply process water pumps for the Fort Hills oils sands project in northern Alberta. The company noted it has had a long-standing input to the oil sands industry there, claiming that it was instrumental in moving the industry to all-metal pumps instead of rubber-lined pumps for handling tailings. This in turn led the industry to consider using all-metal pumps for hydrotransport, with GIW replicating the process in its hydraulic laboratory. The KSB group also supplies a wide range of pumps that are customized for in-situ oil sands operations. In April, GIW Minerals reported on the success it had achieved in doubling the lifespan of pump wear parts at the operations of a major frac sand producer in the midwestern U.S. 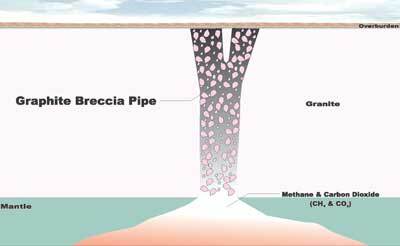 The company noted that most frac sand is produced from high-purity sandstone, with rapid erosion of metal pipes, pump impellers and suction liners. Elastomers such as rubber tend to wear better in this type of application, and when properly applied, can outlast metal parts three or even four to one, the company added. Polypipe provides plastic pipe systems, which, it said, can be used for purposes such as transport infrastructure, water delivery and distribution, dewatering and storage, processing and water treatment, as well as welfare infrastructure. The company added that not only is polyethylene (PE) inherently suitable for a wide range of applications, but well-engineered PE pipework systems can meet most of the challenges presented by mining-industry applications. Polypipe stated that its PE systems are reliable, corrosion-proof and break-resistant. This means that they can handle dilute acids and highly caustic solutions, and can operate at temperatures from -40ºC to +60ºC. Flexibility helps PE pipes cope with internal pressure surges, and with post-installation ground settlement. PE pipes are smooth-bored, giving low friction and resistance to blockages, while critically for remote locations, pipe sections are lightweight and easy to install. Where appropriate, the company can supply gravity drainage systems with push-fit joints. Supplied in 6- or 12-m lengths, plastic pipes require fewer joints for a given run, which not only speeds installation, but also minimizes potential leakage and conserves water. Banro Corp. selected Polypipe’s HDPE Rigidrain twin-wall drainage system to provide effective subsoil drainage at the Namoya gold mine in the DRC. Polypipe supplied 1,386 m of 500-mm-diameter pipe and 190 m at 600-mm diameter, shipped via eight 40-ft sea containers, with the system providing controlled seepage of treated wastewater. It can also deal with unpredictable fluctuations such as storm water, and is a crucial element of an effective water management system, the company stated. NASP’s Yelomine piping features the Certa-Lok joint system, which provides secure assembly combined with easy reuse. Manufactured since 2013 by North American Specialty Products (NASP), but with a mining-industry history that dates back to the 1970s, Yelomine modified PVC piping features the Certa-Lok restrained-joint system, which uses machined grooves and a high-strength thermoplastic spline to create a fully circumferential, securely locked restrained joint. NASP told E&MJ that this has recently been enhanced to carry higher pressures, with the updated system featuring a stouter spline and a thicker pipe wall. Now qualified to 350 psi, this brings the system’s efficiency and durability to a wider range of high-pressure water-transfer applications, the company added. The Certa-Lok joint has precision-engineered grooves that, when aligned, allow a spline to be inserted that instantly creates a fully circumferential restrained joint that locks pipe and coupling together; flexible elastomeric O-rings in the coupling provide a hydraulic pressure seal. NASP explained that pipe sections can be assembled quickly in all weather conditions, with no solvents, heat fusing or reinforcing attachments needed. Sections can also be easily disassembled and reconfigured, while Yelomine PVC pipe has a higher tensile strength and is lighter than an equivalent HDPE pipe. NASP has supplied the Yelomine pipe system for use at the Sulfolix heap-leaching operation at Freeport-McMoRan Copper & Gold’s El Abra copper mine in Chile. Local heap leaching lixiviation specialist, Relix Water, recommended that FMCG switch from HDPE pipe to 16-in. Yelomine pipe to simplify and speed up pipe installation. By using Yelomine, Relix was able to increase the installation rate from 50 m (164 ft) to 500 m (1,640 ft) of pipe per day, NASP said. Produced by Lubrizol, Corzan chlorinated polyvinyl chloride (CPVC) piping is a high-performance material designed for use in process industries that require corrosion resistance at high temperatures. The company noted that mineral processing plants often have to transport aggressive chemicals such as copper, zinc and sodium sulphates, metabisulphite, sodium cyanide and sulphuric acid, and without the right industrial piping system in place, corrosion can lead to premature piping failure and downtime. Lubrizol claims that its Corzan HP industrial piping systems are highly durable and can stand up to these challenges over the long term like no other piping material can. 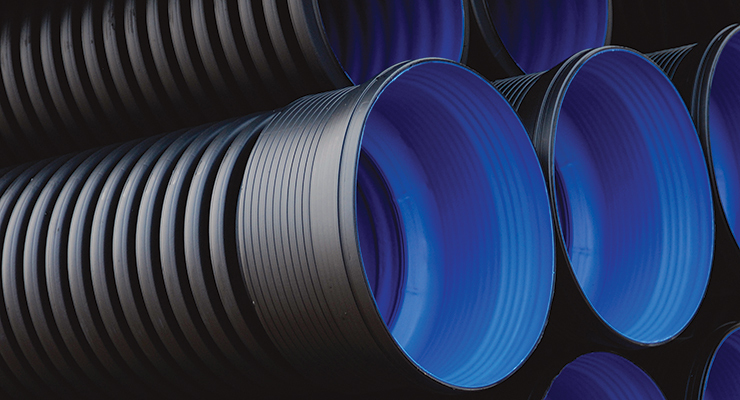 Corzan HP industrial pipe and fittings offer high impact and corrosion resistance, being inert to most acids, bases and salts, as well as aliphatic hydrocarbons. This piping is therefore suited for applications such as electrolysis, electrowinning and electrorefining operations; acid service lines; tailings lines; gas vent scrubbers; froth flotation operations; and wastewater treatment plants, the company said. Benefits of Corzan HP piping include quick and easy installation, its lightweight, and the availability of a full range of system components, including pipe, fittings, valves, duct and sheet in a wide array of sizes. In July, the Weir Group announced the acquisition of Delta Industrial Valves, a U.S.-based manufacturer of knife gate valves for mining and other industrial markets. Delta’s products are capable of cutting, shearing and closing against solids while still providing a zero-leakage tight shut-off, and include the world’s only Safety Integrity Level-certified knife gate valve series, according to the company. The acquisition extends Weir Minerals’ presence in the mining and oil sands markets by expanding its portfolio of valve products for use in slurry transport. In terms of pumping, the group’s Warman horizontal and vertical centrifugal slurry pumps are designed for ultra heavy-duty applications such as mill discharge, process plant and tailings pipelines. Meanwhile, the company’s GEHO piston, piston diaphragm and hose diaphragm pumps are used for slurry, sludge and paste applications. These pumps are designed to handle applications such as long-distance slurry pipeline transport, mine dewatering and backfill, and high-density tailings disposal. Part of National Oilwell Varco (NOV), Fiber Glass Systems offers a wide selection of lightweight abrasion-resistant and corrosion-proof piping systems for mining industry applications. As an example, the company’s Ceram Core products are light-weight and long-lasting in abrasive slurries such as tailings, being made by embedding structurally reinforced epoxy resin pipe and fittings with high alumina ceramic. The result is a piping system with the durability of ceramic and the corrosion-proof structure of epoxy, NOV stated. Other products aimed at rigorous mining and mineral processing applications include Fiberspar, which is a GRE-HDPE hybrid pipe that provides the durability of HDPE while being capable of operating at pressures of more than 1,500 psi at up to 82°C, while the company claims that its Z-CORE resin systems outperform plastic-lined steel pipe in the toughest chemical applications for a fraction of the cost and weight. Among the applications that the company reports, one involved the installation of 10.3 km of 36-in.-diameter Green Thread pipeline for handling hot process water at an Alberta oil sands operation. Designed for a 30-year life at a pressure of 1.4 MPa (200 psi) and a temperature of 93ºC (200ºF), the pipeline was buried in soils that ranged from dry sand to boggy muskeg. Meanwhile, Fiber Glass Systems has also been successful in supplying its Bondstrand glass fiber-reinforced epoxy (GRE) pipe and fittings to the state electricity utility in Serbia. At the Kolubara and Kostolac open-pit mines, the piping is used for water transport from dewatering wells, while a third application at Kolubara involves transporting fly-ash slurry for disposal.